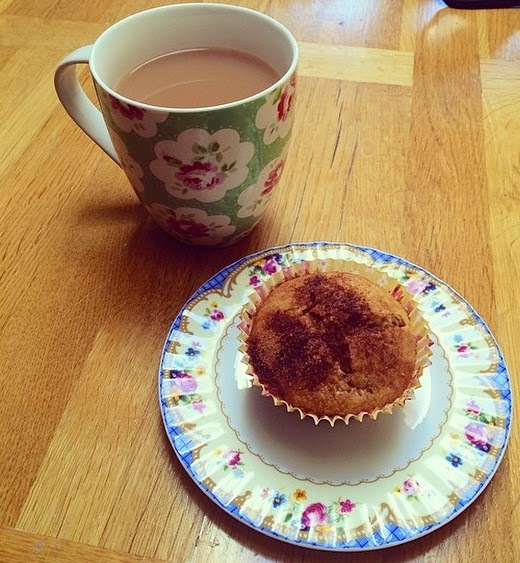 Hobbits & Hairdye: Baking | Nutella Stuffed Cinnamon Muffins. Baking | Nutella Stuffed Cinnamon Muffins. Nutella & cinnamon are two of my favourite tastes, so when I saw this recipe that combines the two, I just had to give it a go. Et Voila, deliciously indulgent muffins for everyone to enjoy! Whats your favourite thing to bake? Oh my word these look soo yummy! I love cinnamon and I have a special love for anything with a topping so I am definitely going to try these out! My favourite thing to bake is cupcakes (I posted about red velvet cupcakes this morning) and if I can recommend something it will be cinnabuns and apple pie because that is two of my favourite things to bake AND eat! I think this is on the cards for my baking today. Such a lovely sounding recipe. Can't wait to try it out!